I was watching my kids yesterday as they sat on the couch, engrossed in their favourite show on Netflix. One of the benefits of this was that they were sitting still, and not paying attention to me; I could stare at their faces as long as I wanted, thinking about them as I took in all of their sweet details. And I thought about this whole screen-time thing. My knee-jerk reaction to talking about my kids watching a show is always to add a disclaimer (They hardly watch any shows, really! It was educational! I was making them do push-ups the whole time! Blahblahblah) because, as we hear often, there are so many reasons why kids should not be spending too much time on-screen. Believe me, I have read the articles. I have observed a few of the consequences, even. Not to mention, I have sat in lectures, read research papers, and discussed this topic in depth in my post-secondary studies in Elementary Education. I know, I know, I know. BUT...it still doesn't stop me from letting them watch shows from time to time. And (although I thoroughly believe in limiting screen time) after enduring things like debilitating morning sickness, almost a year of never sleeping more than three hours in a row, and emotionally devastating tragedies...I'll be the first to advocate for the mom who just needs an electronic babysitter for a precious 22 minutes...or 90 Disney-minutes for that matter! Or, y'know, more than that. As I was considering all of this, however, I thought about other things they could be doing. Reading, of course, came to my mind and I started thinking of ways that I could inspire my kids to read more on their own, beyond our bedtime stories. Several ideas ran through my head, one of which was to inspire them by example: to let them see me reading more. I consider myself a "reader"...but it suddenly occurred to me that my kids hardly ever actually see me reading a book. One reason is because my down-time (reading time!) is often after they're in bed. BUT! the biggest reason is that a lot of my reading is online articles and e-books. Aaaand here is the problem: to them, checking Facebook and reading a complex, thought-provoking article look exactly the same... it looks like me staring at my iPad (or phone, computer screen, e-reader, etc.). As they run past me, fending off bad-guys and rescuing sisters (thank Frozen for that new story line in their imaginative play), they have no idea whether I am reading life-changing book or surfing Instagram! JEEEEPERS. And so, the conclusion I reached with this epiphany is: I need to read more hard-copy books so I look like I am actually reading a book. Now, I realize that this might not be as important to someone without kids around. I also realize the conserving paper thing is real and it's important. Really, I do. I'm passionate about our beautiful planet. But I'm also passionate about teaching my kids...and I want them to have memories of mom curled up, hands wrapped around a bound stack of paper pages, even if it's just to mark the difference between Mom allowing her mind to linger on an author's artful and poignant story...and scanning Pinterest for recipes worthy of the weekly meal-plan. Also, this seems to especially apply to the religious and their religious texts; if I'm trying to teach my kids how much I love scripture...then they had better see me actually reading it, for heaven's sake! Maybe once my kids are older, I'll be able to talk about what I'm reading with them more, lessening the need for teaching this particular principle with appearances while they're little. I'm curious to know your thoughts on the matter! 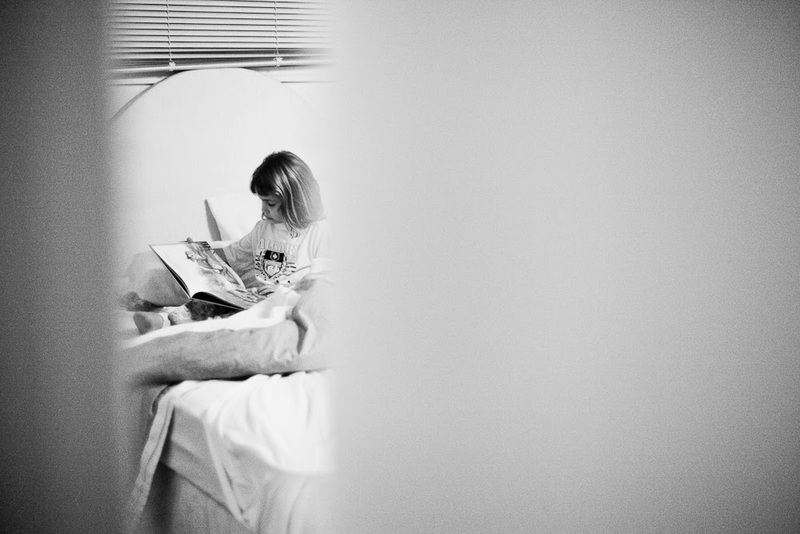 How have you inspired your kids to enjoy reading on their own? Do you read hard-copy books or e-books? Does your perception of someone change when you see them reading a "real" book? Ha! I love that...I need reminders that "I can read big words," too! Oh my goodness Laura, you spoke to something that has been on my heart. I read my Bible... often. I read my "paper" Bible first thing in the morning or right before bed. My children never see me reading it. Then, if I have a moment to read my Bible during the day, it's often on my phone or iPad! I suddenly realized I had to start reading my paper bound Bible so that my children could see me actually reading the scriptures. I thought this but haven't made a shift yet. Thank you for this subtle reminder and confirmation of what I need to do. Great post! (And you're right, we do sometimes need that much needed electronic "babysitter"... there should be no guilt in using it when we need it).